Australia is the smallest continent of the world. It is a beautiful nation, known for its wildlife-flora and fauna, especially the world-famous Kangaroo population which is a unique feature of Australia. All these factors make Australia an excellent migration destination. The best way of going there is by applying for an Australian working holiday visa. This visa is aimed to attract mostly the young generation between the ages 18 to 30 years. If you wish to experience a taste of the rich culture and heritage of Australia, you can apply for the Australia working holiday visa. You can thus, earn some money during your stay in the country. 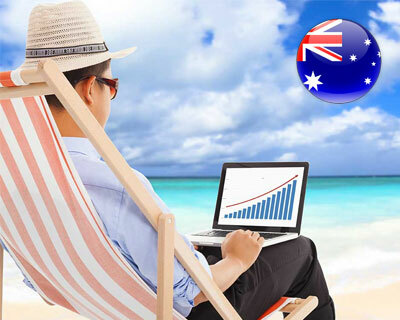 Australian citizens in turn are eligible to apply for Australia working holiday visas in other countries. Apart from the age criteria, you can apply for this visa only f you do not have any dependent children. If you have had a criminal history or medical conditions, you must declare them at the time of applying for this visa. Some of the countries whose citizens are eligible to apply for an Australian working holiday visa are Belgium, Denmark, Estonia, Canada, Sweden, Malta, Italy, Republic of Korea, the United Kingdom, Taiwan and others. On getting approval for the same, you will be entitled for a stay of up to 12 months in Australia. You can enter and leave the country as many times during this period. On expiry of the visa, you can apply for an extension. There is no restriction on the type work you can get involved in during your stay in Australia. The main focus of this visa is to let you earn and support your stay in this country, while you enjoy its scenic beauty. This visa allows you to work only with an employer for six months. As this is a year-long visa, you need to work with at least two employers. The Australian working holiday visa is a supplement to aid your expenses while you are travelling in Australia. This feature makes it very popular among the young people. For more information about Immigration and Visas follow us at MoreVisas Facebook, LinkedIn and Google+.